Oh I'm a dork and I'll admit it! So why am I dork you ask? For a few reasons, but one is that I'm excited to get a rental car tomorrow. I'm not excited about the whole process and how after work tomorrow I have to go straight to the appointment (think the school will let me leave a little early?) but it's in the same town. I'm a little excited I get to drive a different car for a few days. Yep I'm a dork lol. I'm also a dork because I check my e-mail a gazillion few times a day to see if someone left a comment on one of my posts. And then I get super excited when I see a comment that a teacher left saying that they actually used one of my ideas! That gets me super excited lol. I do have to share something super exciting about two of the teachers I sub for. In fact one teacher was the one I subbed for in kinder on Tuesday and Wednesday. 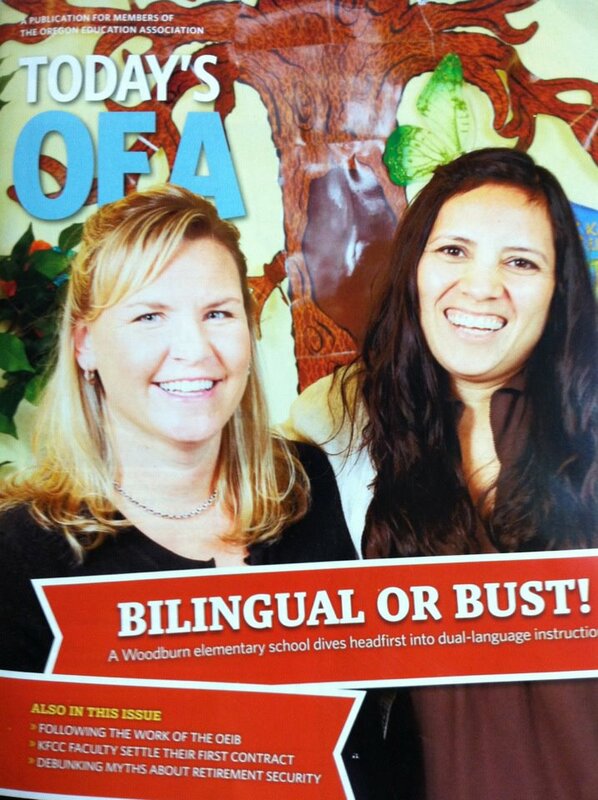 They are on the front of the OEA (Oregon Education Association) magazine for teaching in a dual language program! Yay for them! You may recognize the tree behind them from my Reading Spots blog post! Oh and I just reviewed a book called Learn Me Good by John Pearson at The Best Endings. I just bought the sequel to it, Learn Me Gooder and can't wait to read and review it! The author is hilarious! I'm ready for the week! I've got three days lined up so far, 2nd grade, 3rd grade, and 1st grade Mon-Wed. I thought I was the coolest cat in town! Looks like you're lined up for a busy week... Have fun! Hello there. I am a substitute teacher, too! I actually had a job, became a sub, had a job, and I am back at subbing this year!! I just discovered your blog ads I really enjoy it! I gave you an award for being a versatile. Thanks for sharing your thoughts on teaching! 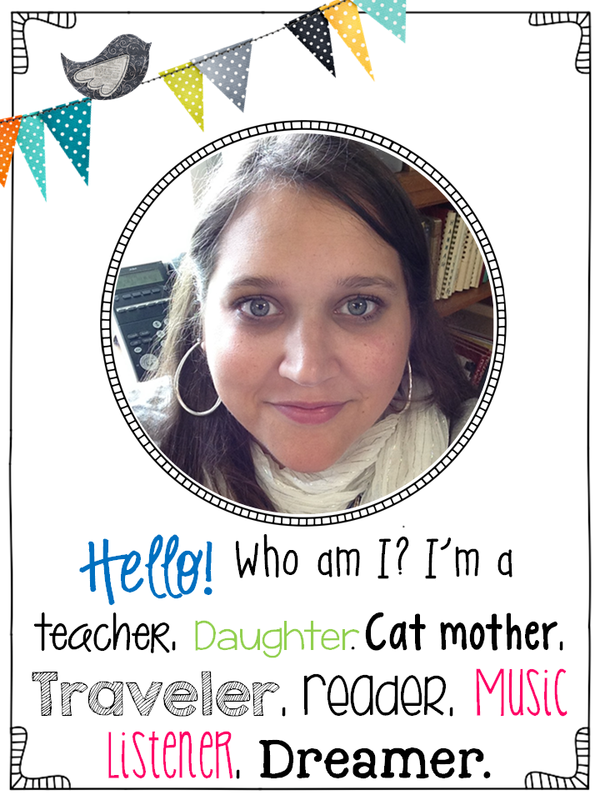 Thanks for stopping by Literacy Teacher and thanks! 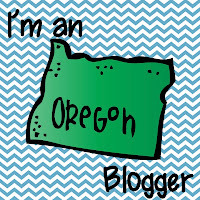 Hubby had a rental and I was so excited to drive it...and scared...but I am really nervous when it comes to rule breaking...see newest post. Anywaysss...I love your blog! andddd I gave you an award! 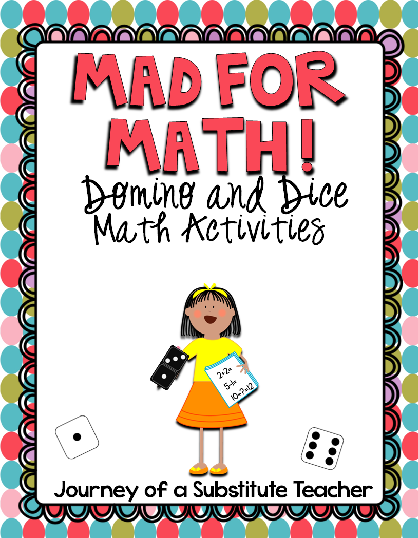 Hop over to check it out! Yeah I'm excited and kind of nervous about the car. Hope it's a nice one at least! Oh I'm nervous about rules too lol. I'll head on over!